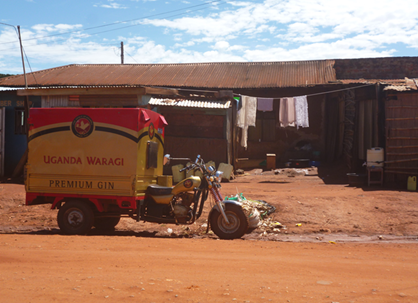 In connection with my Masters programme in Human Security, I spent 3 months in Gulu, where I collected some qualitative and quantitative data on consumption of home brews in the greater Gulu area (Pece, Kabedopong, Olailong, Lacor, Negri). The purpose of my study was to understand the role that home-brewing played in the post-conflict scenario, in guaranteeing/diminishing personal, economic and community security. As my research has moved to different areas, I do not have the material time to go through the quantitative data thoroughly. However I feel that it would be a pity not to employ it, or at least attempt to, as it would be a waste of resources. The data in question is being sent to PACTA (Program for Awareness, Counselling and Treatment of Alcoholism) Gulu Archdiocese, but they would be very happy to collaborate with students in interpreting it. If anybody is interested and willing to incorporate the questionnaires in their own thesis/work I will be happy to pass them on before they lose further validity. I can also offer an extensive collection of transcribed qualitative interviews with both brewers and consumers. For any questions please contact me at cjerne@dac.au.dk.